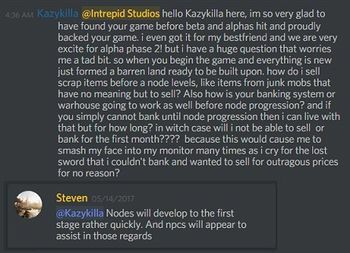 A village is the third stage of node advancement. 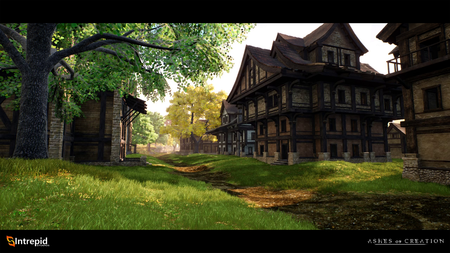 Pre-alpha Aela (human) housing by Michael Bacon. 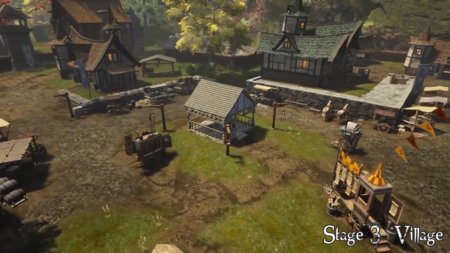 Buildings that offer goods and services, as well as purchasable housing are created when a node reaches village stage. Ability to claim citizenship to a Node. Prized items can be displayed within a house. Houses can be used to carry out crafting. Houses provide an amount of storage. Achievements and trophies may be displayed. May provide proximity based bonuses. Legion monster coin events are common events that occur for Nodes up to the Village stage. This might include a horde of zombies rolling across the countryside finding something or someone to feast on. 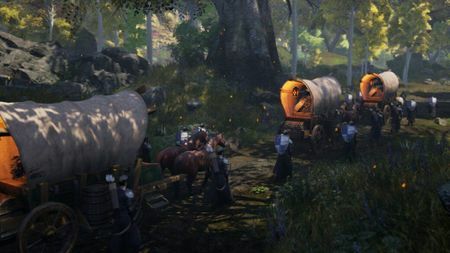 Players who wish to keep their advancements will need to be vigilant. 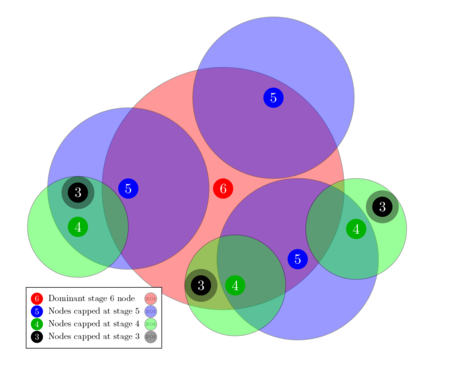 Elite monster coin events occur for nodes that exist between the Village and Metropolis stages. This level of event would include something along the lines of a dungeon level bosses and mobs coming into the world to pillage and destroy specific centers of activity. ↑ 1.0 1.1 1.2 1.3 1.4 1.5 1.6 1.7 Node series part II – the Metropolis. ↑ 2.0 2.1 2.2 2.3 2.4 2.5 2.6 Blog - Know Your Nodes - Advance and Destroy. ↑ 3.0 3.1 3.2 3.3 3.4 A reactive world - Nodes. ↑ 4.0 4.1 4.2 4.3 4.4 4.5 4.6 4.7 4.8 Blog - Know Your Nodes - The Basics. ↑ 6.0 6.1 6.2 Livestream, 16 October 2017 (50:20). ↑ 11.0 11.1 Livestream, 26 May 2017 (28:16). ↑ Livestream, 4 May 2018 (32:46). ↑ Livestream, 12 May 2017 (52:01). ↑ 16.0 16.1 16.2 16.3 16.4 16.5 16.6 Livestream, 5 May 2017 (30:53). ↑ 18.0 18.1 About Ashes of Creation. ↑ Livestream, 15 May 2017 (45:20). ↑ 26.0 26.1 Livestream, 3 May 2017 (36:25). This page's content was last modified on 27 March 2019, at 00:25.